Application Closing Date : 25.06.2018 UPTO 24:00 HRS. Application Fee : Rs 100/-. 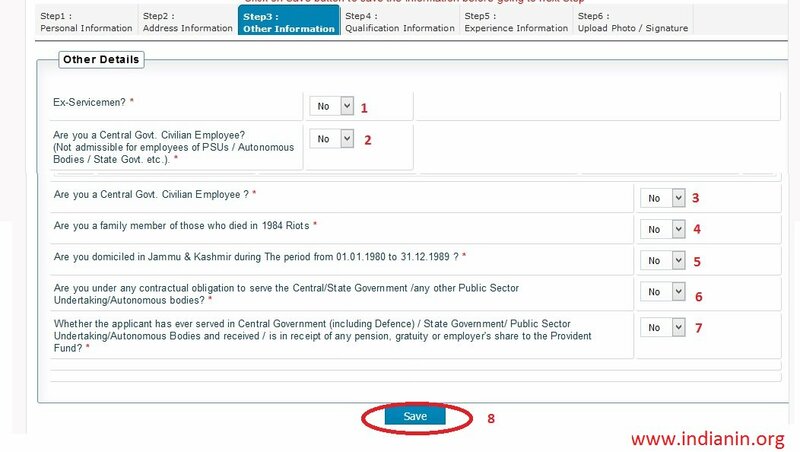 Note : Fee is exempted for candidates belonging to SC/ST category, PWD candidates, Ex-servicemen and Women candidates. Stipendiary Trainee – Category-I : Written Test and Interview. ** The Written Examination shall include Questions pertaining to Psychometric/ Aptitude / General Knowledge/ day-to-day science / discipline of the candidate. ** ONLY those who have cleared the Written Test will be called for Interview. ** The selection process will consist of Test in 3 stages. ** The Stage 1 & 2 Written Test will be conducted on the same day. 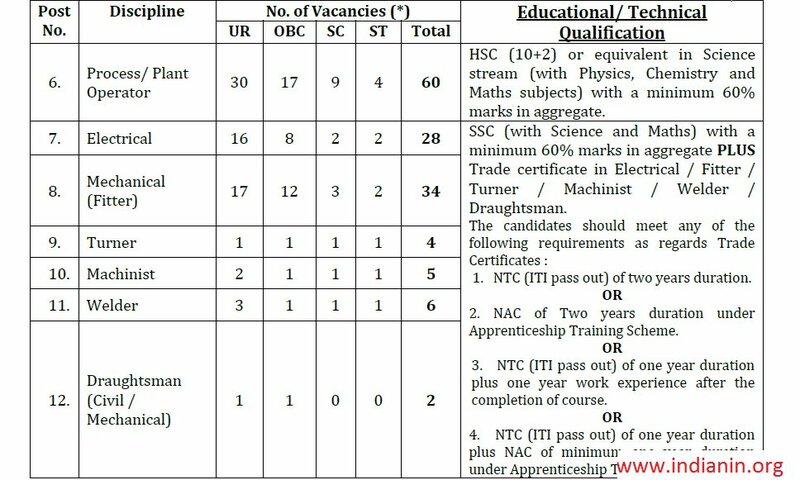 STAGE 2 – Advanced Test Questions will be from the respective trades for ITI and HSC (12th) for Process Plant Operator. STAGE 3 – Skill Test ONLY for those who have cleared the Stage-2 test and will be on go/no-go basis. Candidates will be called as per merit. Total Duration Of Training : 2 Years for both Stipendiary Trainee – Category- I & II. A One Time Book Allowance of Rs. 3000/- is admissible as per Rules. ** The selected candidates will have to execute a bond to complete the Training and to serve the HWB/HWPs or any other Constituent Units of DAE, if offered appointment after the training, for a period of three years after absorption. ** M.B.B.S. with five years experience. ** Candidates with Institutional experience shall be preferred. ** Mandatory Internship will not be counted as experience. 1. Attending to patients of all age groups & providing health care at the periphery level. Age Limit : Maximum 40 yrs. Pay Band : Rs 67,700/- in Level 11 of the Pay Matrix + Non Practicing Allowance + Dearness Allowance. Mode of Selection : Selection will be made on the basis of performance in the Personal Interview. Pay Band : ` 44,900/- in Level 7 of the Pay matrix +DA. Stage-1 Preliminary Test, Stage-2 Advanced Test and Stage-3 Skill Test. Desirable Qualification : Knowledge of Computer Application, Data Entry & Data Processing. Pay Level : Rs 35400/- in Level 6 of the Pay Matrix + DA. Level 2 Test : Stenography skill Test. Educational Qualification : Minimum 60 % marks in SSC OR HSC with Science & Maths. ** Minimum 4 years of experience for Technician/C and Minimum 8 years of experience for Technician/D. ** Candidates should possess valid Heavy Vehicle driving licence. For Technician / C : Rs 25,500/- in Level 4 of the Pay matrix +DA. For Technician / D : Rs 29,200/- in Level 5 of the Pay matrix +DA. ** Stage-1 Preliminary Test, Stage-2 Advanced Test and Stage-3 Skill Test. ** There will be negative marking for the written tests. Pay Level : Rs 25,500/- in Level 4 of the Pay Matrix + DA. Qualification : Degree of a recognised University with an aggregate of 50% marks. 1. Minimum speed of 30 w.p.m. in English Typewriting. Level 2 Test : English Language and Comprehension (Descriptive written Test). ** ONLINE submission of application will be available from 26.05.2018, 09:15 Hrs. to 25.06.2018, 24:00 Hrs. 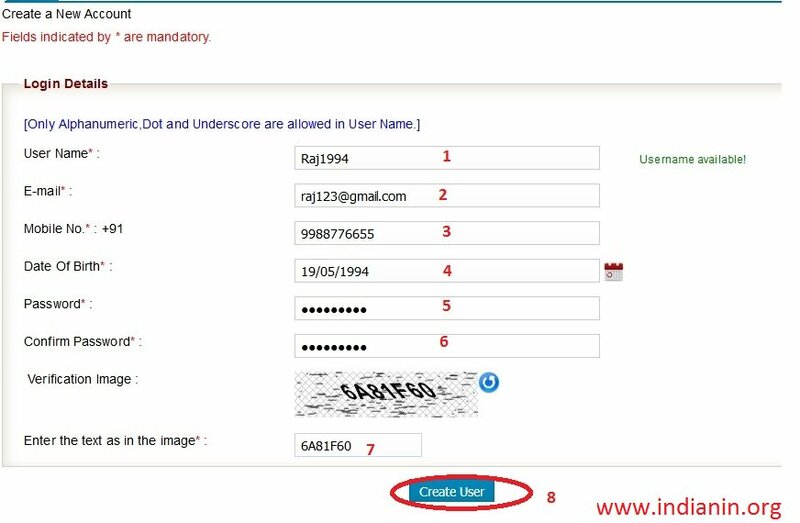 Step 2 : User Registration screen will be opened.Enter the following details to create an account. 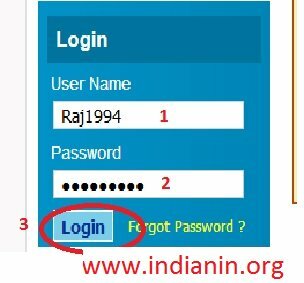 Step 1 : Click on login page, enter User Name & Password to login the page. 3. Click on “Login” button, Application Form Will Be opened. 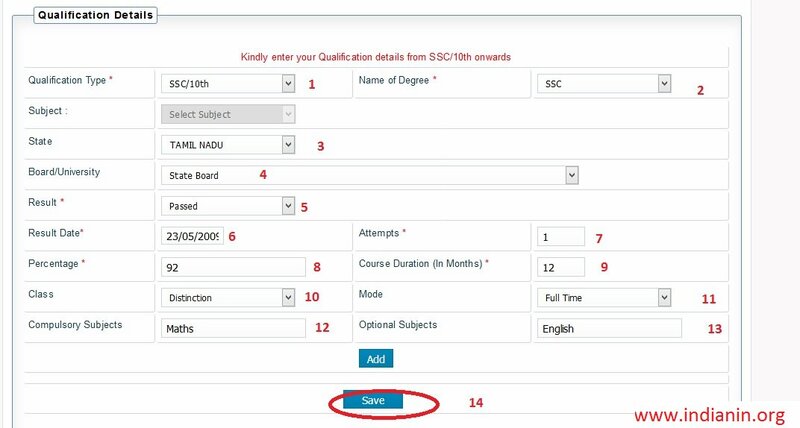 Step 1 : View on the Application form Click on “Profile Creation ” tab in main menu. 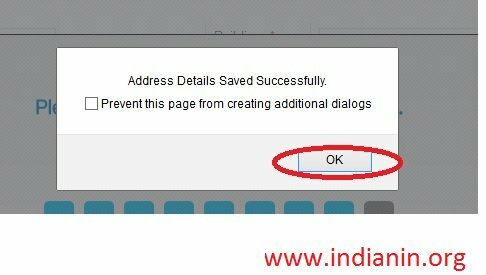 Conformation Screen will be displayed, click on “OK” button. Step 10 : Click on Save button. Conformation screen will be opened, click ok button. Confrontation screen will displayed Click on “OK” button. Step 5 : Click on Save button, View your profile,click on print option to apply for the post. ** Candidate may indicate their choice of Centre in the order of preference (atleast three Centres) in their Application Form. ** All records of the candidates NOT SELECTED will be preserved for six months only, from the date of publication of Select List.